I have always been a little triskaidekaphobic, which means fear of the number thirteen, though admittedly part of it is just loving the word for it. 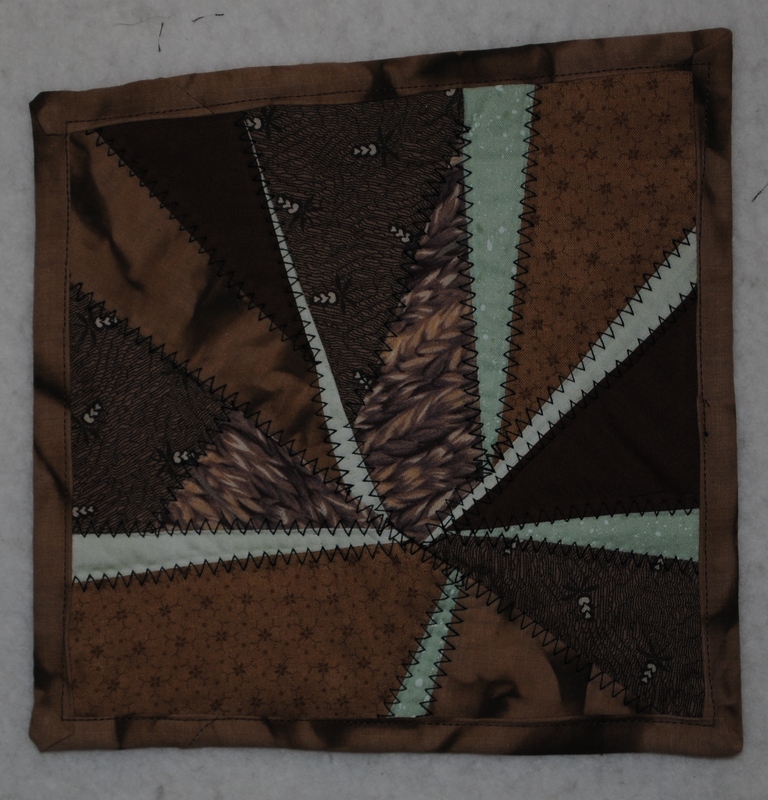 So, it shouldn’t come as much surprise that a natural event occurred during Journal Quilt Week 13 in August of 2011. That week, there was an earthquake in Virginia (fairly close to where I went to college), which is a very, very rare occurrence for the East Coast. I was sitting in a cube in an insurance company’s headquarters in Hartford, CT and we felt the earthquake all the way up there. It’s the only earthquake I have experienced so far so it was a natural choice for the journal quilt.